Lancome Hypnose Doll Eyes / Gee Whiskers! I love purple eyeshadow and was on a hunt for the perfect purple palette. 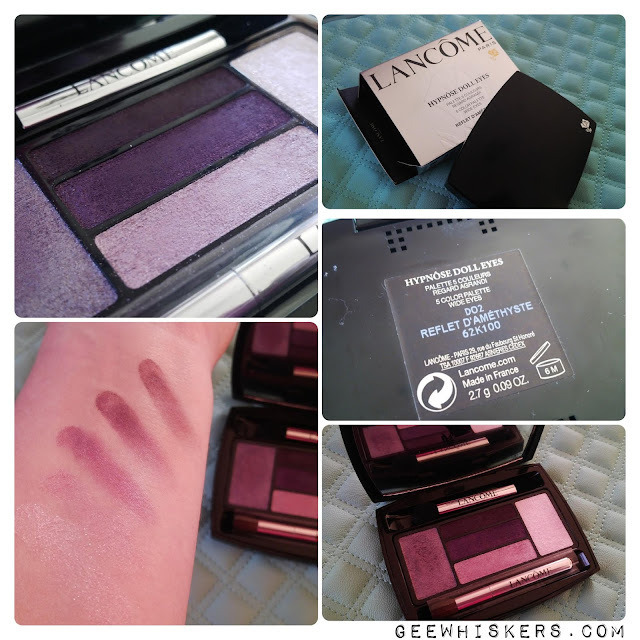 I had a look at a few palettes and decided to get this Lancome one because I liked that most of the palette had proper purples and not other shades, as many of the other palettes had browns and pinks included. The palette has 4 shades of purples and a light lilac-pink shade that acts as a highlighter. I really like that there are 2 intense plum shades and 1 lighter shade (these are the 2 middle top colours and left shade in the image). The lighest purple (bottom middle colour) has tones of pink in it that does help one to create a more subtle look for a day time look. The lilac-pink (right of the palette) is perfect for highlighting the corners of your eyes and brow bone. These eyeshadows are silky in texture and highly pigmented. 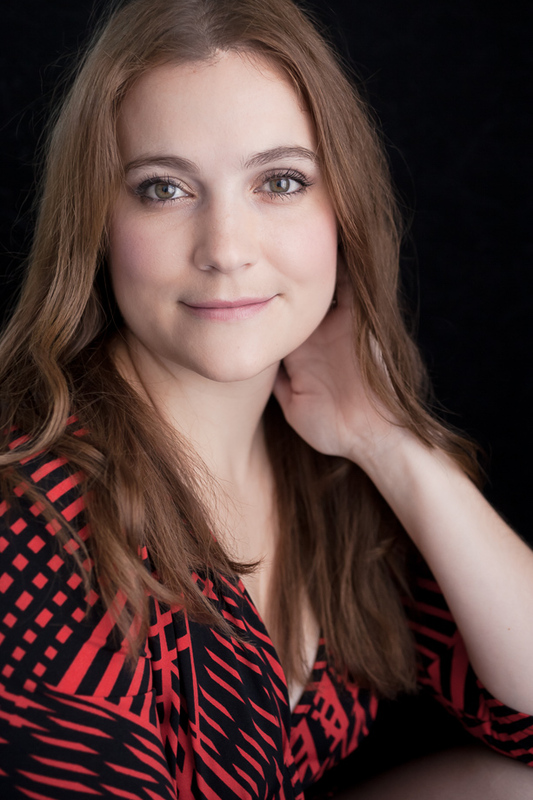 It is easy to pick up the shadows with a makeup brush and transfers well onto your eyelids. The colours last well throughout the day and do not crease at all. This palette cost me R575 from Woolworths but while surfing the web I saw that it is R465 from the Red Square online store. That is a huge difference in price for a product and I really was rather upset when I found out. I really love this palette but one really needs to be so aware of the pricetags when shopping. I assumed the department stores would be priced similarly to remain competitive but there are huge differences. Shop Wisely! Wow, so pretty! And that's a huge difference - more than R 100! I've also noticed department stores have different pricing for the same brands. I first need to practice my make-up skills before spending that amount of money on eye shadow! Those shades are so gorgeous!! So very you!